management system developed by the University of Maryland). JH is a US Special Operations Command (USSOCOM) sponsored exercise to improve the Special Operations Forces’ UW capability as part of the National Security Strategy. What does “UW capability” mean? What is “UW“? Let’s look into “UW” first, because JADE HELM 2015 is a “UW” exercise. Back in the year 2011 I wrote a lengthy five-part article for Oath Keepers in response to an Arizona SWAT team which murdered a young Marine war Veteran named Jose Guerena. That article is not available online at present moment, so I apologize for not being able to link readers to the full article. However, I do have most of my notes, which included writings on Unconventional Warfare, and I will now draw from those old notes to answer the question about UW. Because of the scope of the Jade Helm exercise, this writing will be the first part of a series of articles in which I must take the reader “around the block” on the way to a fuller understanding of not only what UW is, but also how it fits into Technocracy as a tool of something just as hideous — MindWar. MindWar is at the root of JADE HELM 2015, and as Patrick Wood has proven conclusively, the topics relevant to JADE HELM 2015 are tools of Technocracy. We can now show those connections. So JH15 is a feature of both Unconventional Warfare and MindWar. The Army did not say that — I said it. Unconventional Warfare and MindWar are the neap and nape of the abstraction presently being called JADE HELM 2015. In follow-up articles I will go into Main Core, Continuity of Government, and MindWar. Because coverage which would be inclusive enough to grant a good mental grasp on the overview of JADE HELM 2015 is too much for one article, we’ll start now with just the one aspect and add subsequent articles one at a time. We must understand what Unconventional Warfare is before we can fully appreciate what MindWar is. My thoughts on JADE HELM 2015 will incorporate Unconventional Warfare, MindWar (which will be Part Two), and something called “Main Core” (which will be Part Three). That said, let’s look briefly into Unconventional Warfare. The U.S. Army’s 2008 manual for Unconventional Warfare is < here > (3) Note: This is a 248-page PDF. Download it while it is still on the Internet, yes? So let’s see. Special Operations Forces would be under the umbrella of Unconventional Warfare, and would be one element of Unconventional Warfare right alongside Psychological Operations and Civil Affairs Operations. The following video is not a hoax. On September 10, 2001, the day before 9/11, Donald Rumsfeld announced that the Pentagon had lost over two trillion dollars during the previous fiscal year. Any American might want to question what the Pentagon was doing with that kind of money in the first place, for the two-plus trillion dollars missing was above and beyond the billions of dollars for which the Pentagon could account. Is the annual Congressional budget for the military now more than two trillion dollars? If we might presume that the Pentagon managed to account for at least more than it cannot account for, we’ll have to realize that the Pentagon’s budget has to be over four trillion dollars. Be that as it may, the Secretary of Defense announced that the Pentagon had lost 2.3 trillion dollars for one fiscal year. Brzezinski was lamenting that too many “little people” are waking up around the world, questioning authority and resenting “the privileged corruption of their rulers”. Remembering that Zbigniew Brzezinski co-founded with David Rockefeller the Trilateral Commission in 1973, and remembering the staggering information we learned from Patrick Wood, we clearly know and understand that popular rejection of any one-world government control is seen by the globalist geniuses of Technocracy as a direct threat to their global power, and must be dealt with. That is why Brzezinski entitled a section in his 2012 book “The Impact of Global Political Awakening“. To counter the impact of global awakening here in the USofA, military and Homeland Security and Department of Justice forces are charged with creating operations such as JADE HELM 2015. Such operations have to do with “Mastering The Human Domain” (also known as the “Human Terrain”). I will spare the reader the dirty secrets surrounding and contained within the Black Budget, for we all now know that it exists. Suffice to say the American people are not being kept informed about the mischief our government in WDC perpetuates. But if we just think about the declared and Congressionally-approved military budget our simple little all-American minds become boggled beyond comprehension. For example, who makes the profit for making all these war things for UNcle Sam? Fact: There is indeed a “military industrial complex”, just as President Eisenhower said. However, the bulk of the “industrial” side of that complex is primarily building bombs, rockets, missiles, tanks and planes and all sorts of related peripherals. But let’s think about just the “industrial” side of that complex for a moment before going more deeply into the Unconventional Warfare rabbit hole of JADE HELM 2015. We know that World War I was the first time in history that machines were brought to bear on a battlefield. After WWI the ramp-up of military production, engineering, and sales to our government went berserk, as we can see by reading Professor Carroll Quigley’s accounting of the tonnage of military-industrial products created under FDR’s “Lend-Lease Act” and Defense buildup for WWII during the earliest 1940s. We produced only 16 light tanks in March 1941, but thirty months later, late in 1943, we were turning out three thousand tanks per month. In July 1940, the United States produced 350 combat planes, and in March 1941, could do no better than 506 such planes, but by December 1942 we produced 5,400 planes a month, and in August 1943, reached 7,500. A similar situation existed in ship building. In all of 1939 the United States built only 28 ships totaling 342,000 tons, and in 1940 could raise this to no more than 53 ships of 641,000 tons. In September 1941, when the German U-Boats were aiming to sink 700,000 tons per month, the United States completed only 7 ships of 64,450 tons. But among those 7 ships of September 1941 was the first “Liberty Ship”, a mass-production model largely based on a British design. Two years later, in September 1943, the United States launched 155 ships, aggregating 1,700,000 tons, and was in a position to continue at this rate of five ships a day, or 19 million tons a year, indefinitely. To have a never-ending run of wars, the Intelligence community, re-established in 1947 after President Truman dissolved the OSS on the heels of WWII, creates America’s enemies so we can all enjoy electric appliances, entertainments, pro sports, large single-family homes in suburbs, nice cars, convenience stores and airplane rides — our whole inorganic lifestyle to which we refer as “Western Civilization”. That is what is at stake, and that is why our arms industry continues to create the implements of war even now that there is not one nation on this earth which is wanting to attack us. And although that has been going on for a half-century or more, and no power on earth can safely challenge U.S. hegemony around the globe, the thinkers and planners became animated after the fall of the Berlin Wall (1989-1991) and decided that since the Cold War was ended and no “enemy” existed, yet another new enemy would have to be created. But by the early 1990s the whole world was by then more or less “plugged in”with rapidly broadcast world-wide news, which made matters difficult for planning the next war. Limited UN actions were kept going, such as G.H.W. Bush-41’s trickery with Saddam Hussein in Iraq, but no serious war could be staged without the UN blowing its top. So they came up with a rollicking borderless War on Terror which could provide a new outlet for the arms industry and an extended excuse to maintain one of the things our Founders cautioned us against — a standing army. I think that they also realized that given proper agitation by our Intelligence community (which works closely with MI-6 of British Intelligence and the MOSSAD from Israel), an endless supply of “enemies” could be perpetually created under the guise of “terrorism”. I cannot *prove* that statement, but am simply saying that it appears that way to me, personally. However, I would encourage one to please continue to read this, as I think one may begin to think this way too after enough “coincidences” are laid out for our inspection below. What Jade Helm 2015 is all about is tied directly to such a policy which creates a constant demand on the military-industrial complex.. But I must ask for the reader’s patience. We must, first of all, establish the context in which, over a period of about ninety years, our war planners gradually shifted from Conventional Warfare, in which we sought to defend our nation “over there” by conventional military might, into Unconventional Warfare, in which our military-industrial complex could continue to thrive while helping Western Civilization survive. That transition from the Conventional into the Unconventional must be understood before we try to understand the fullest ramifications of Unconventional Warfare as an aspect of JADE HELM 2015. We defeated the Third Reich and the Japanese Empire in WWII, and once again there was not an enemy left standing who could attack our nation. So, immediately FDR and Josef Stalin and Winston Churdhill met (1945) to create the United Nations. A little bit of Statecraft skullduggery was injected by the likes of Allen Dulles and his pals at the CFR after Yalta. That began an animated, dangerous, and lengthy Cold War, which ran from 1947 to 1991 and saw numerous overseas adventures such as Korea and Vietnam. By proxy, a covert CIA-backed guerrilla war in Afghanistan gave the CIA ten solid years of on-the-job training in the middle east, where they could expand government drug dealing worldwide and hone the skills of evil learned already via the Phoenix Program, which was the assassination program in the clandestine part of the Viet Nam war. Korea and Vietnam were UN wars in which we (America) were part of “coalitions of the willing”, controlled from the start and designed to run indefinitely. That, once discovered during the McNamara Study, was why Daniel Ellsberg decided to leak the Pentagon Papers to the New York Times and thusly begin the end of our involvement in the Viet Nam war. Ellsberg saw that Nixon had no plan to win that war, and LBJ certainly had no such plan. 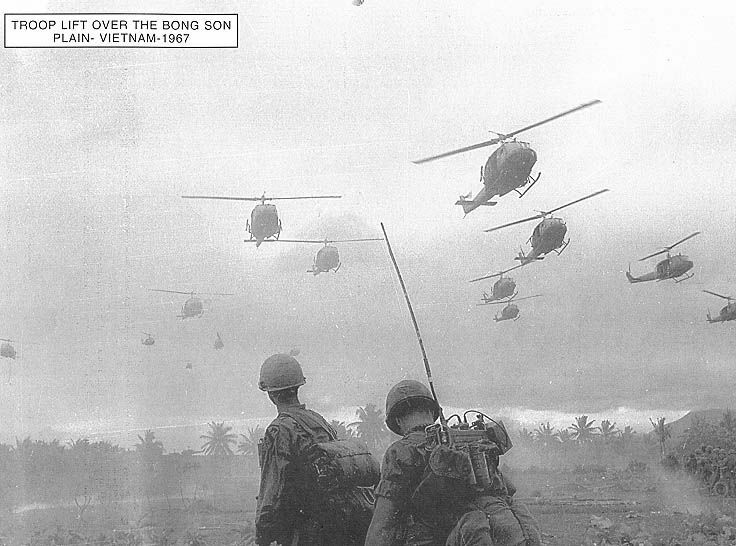 I have been informed that Lady Bird Johnson’s family was a major shareholder in Bell Helicopters (which needed a hot war for field testing, and which spawned new generations of helicopter war machines, which would later be adapted to all sorts of “emergency missions” domestically, including domestic law enforcement). I’m told that Lady Bird also was invested in other international corporations such as Sea-Land Transport. She or her family made a killing on the war. The USSR crumbled after being bled to death financially by ten years on the ground in Afghanistan and the contemporaneous connivance of financial meddling by the Harvard Trust and the Great Banks of Wall Street, such as Goldman-Sachs, while at the same time fighting a CIA-created guerrilla army of more than thirty thousand Mujahedin. This exercise is routine training to maintain a high level of readiness for ARSOF [Army Special Operations Forces] since they must be ready to support potential missions anywhere in the world at a moment’s notice. On their surface those are innocuous and sterile statements — until one ponders the meaning of two memes, “anywhere in the world” (which would include America too), and “Special Operations”. Hint — one doesn’t “master the human domain” with infantry troops. To “master the human domain” one uses Psy-Warriors. Our government and its contractors have astonishing Psy-War forces which have been silently being built over decades of our recent past. What are “Special Operations”? And exactly who is prophesying the nature and character of “emerging concepts” in Special Operations? Special Operations are discussed in the U.S. Army’s Field Manual on Unconventional Warfare, and indeed the announcement of Jade Helm 15 flat out states that Jade Helm is an Unconventional Warfare training exercise. That is psy-ops, pure and simple. Moreover, Special Operations parallels Irregular Warfare in that both, under the umbrella of Unconventional Warfare, rely heavily upon Psychological Operations. All of that brings us to the reality of a Department of Defense doctrine known as “MindWar”. Regular readers here also know that MindWar can be seen as a parallel to, or a style of, Unconventional Warfare, and the two together are targeting the mass-mind of mankind — the “Human Domain”. The Army’s document entitled “From PSYOP To MindWar” makes it clear that the American people are not excluded from U.S. military MindWar, just as the above phrase from SOF implies subtly, without spelling it out, that America must be a part of “anywhere in the world”. We must not overlook such nuances. Jade Helm 15 has got the desired traction in the public discourse. 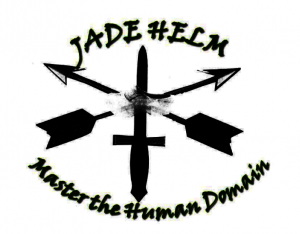 It began going viral in April 2015, and a whirl of seething perceptions are featured in an endless variety and range of every conceivable perspective on just what Jade Helm 15 is, what it is really designed to accomplish, and what it signifies. It strikes many people as a portentous government plan, a pre-fabricated and pre-constructed umbrella under which a black op by the Deep State’s compartmentalized agencies could possibly “Go Live” in a fantastic sort of Shock and Awe False Flag psycho-coup to jar the public mind of America through fear into acceptance of some nefarious policy the government desired, such as the establishment of Martial Law and the complete loss of individual liberty and our Constitution. To do that, the public mind must be conditioned first. That is part of what is behind the Special Operation Command’s Jade Helm 15. Jade Helm 15 would “Master The Human Domain”, plain and simple. They even advertise that intent in their logo. Since 2010, when the Office of the Under Secretary of Defense for Intelligence (OUSDI) released the first two strategic guidance papers on Surveillance for Irregular Warfare and Understanding the Human Dimension, much has been written about the new discipline of intelligence called Activity Based Intelligence. Activity Based Intelligence (ABI) is defined as a discipline of intelligence where the analysis and subsequent collection is focused on the activity and transactions associated with an entity, a population, or an area of interest. The Human Domain, or Human Dimension, which is a vital and integral part of ABI, is defined as the presence, activities (including transactions – both physical and virtual), culture, social structure/organization, networks and relationships, motivation, intent, vulnerabilities, and capabilities of humans (single or groups) across all domains of the operational environment (Space, Air, Maritime, Ground, and Cyber). The ABI multi-Intelligence (multi-INT) approach to analysis has grown in popularity and number of practitioners based on the necessities born from numerous and significant changes. These include changes in warfare, changes in the makeup of the challenges facing the US and US interests, the increasing flood of sensors and the resulting data growth, and the technological improvements that enable this type of analysis. 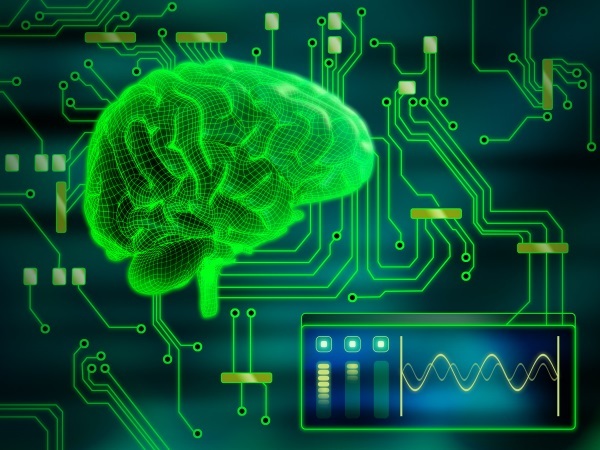 Multiple Intelligence Agencies as well as several Service components are beginning to explore the value of institutionalizing ABI within their work forces. The National Geospatial-Intelligence Agency (NGA) is at the forefront of the ABI push within the Intelligence Community. The ubiquitous nature of geo-spatial intelligence (GEOINT), coupled with Human Domain Analytics (HDA), forms the true foundation of ABI. That was quite a mouthful, yes? 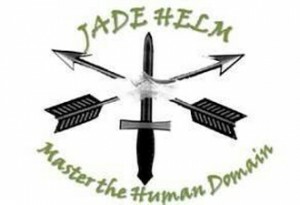 Human Domain Analytics (HDA), being married to Activity Based Intelligence (ABI) is a field of interest to the planners who have concocted the JADE HELM 2015 exercises. But there is an older article by Maximilian Forte over at Zero Anthropology (17) which should also be considered. There we learn that the analyst community has to some degree relinquished the program known as the “Human Terrain System” in favor of a more nebulous view of the Human Terrain. “…an officer in U.S. military intelligence was interested in offering clarifications to the fact that not everything marked as “human terrain” necessarily implies the involvement of the Human Terrain System…. One other note regarding the Zero Anthropology article. Early-on in that article Forte links to two other important articles he had written previously. I highly recommend them both, but would like to directly link readers here to one in particular. This page will give the reader a valuable insight into the corporate side of Intelligence and Analysis in the hands of the government and its pals in the private-sector Corporate “domain”. Go ahead please and hit this link and scroll for a sampling of the companies who are providing our government with Psy-Op Intel and Analysis which would be useful if our government ever wanted to “Master the Human Domain”. At least 37 corporations have vested interests, through contracts gained, in supporting the U.S. Army’s Human Terrain System (HTS) in particular, and in the development of “human terrain” capabilities across various branches of the Army apart from HTS (see for example: “The Pentagon’s “Other” Human Terrain System?“). Most of the newspaper coverage of HTS has focused almost exclusively on the role of BAE Systems, and the claimed “nationalization” of HTS1 (turning HTS employees into government workers, specifically labeled “intelligence analysts”) has not meant either the decline or disappearance of private contracting. Recruitment, training, and the design and equipping of technology used by HTS, and other human terrain branches in the Army, are all in the hands of private contractors. Several HTS employees have been, or continue to be, also employees of these corporations. There is considerable overlap and movement of senior personnel between several of these corporations and HTS in particular. Some of these individuals know each other from past work conducted for some of these private contractors. Any suggestion that HTS is not about supporting war, and separate from the military-industrial complex and corporate war-profiteering, is at the very least naïve or disingenuous. As soon as corporations become such a significant part of the picture, arguments about “saving lives,” “peace keeping,” and “cultural sensitivity” become, at the very best, secondary concerns. The main concern for any corporation is the accumulation of capital. The main concern for any war corporatist is the accumulation of capital derived from engagement in warfare – the main drive is to maintain the war that produces the contracts that generate revenue and growth. HTS is thus very much part of the neoliberal economy of warfare, and academics are recruited – regardless of whatever they believe were the reasons for their recruitment – in order to support imperial warfare and thus to expand the profits of empire. Indeed, it would seem that several of the more outspoken HTS recruits from academia have been extremely naïve in their representations of the nature and purpose of their work – either naïve, or consciously duplicitous and cynical. It should also be noted that several of these corporations (Lincoln) have been found to have roles in planting propaganda in foreign newspapers, which later fed back into U.S. domestic media coverage of foreign wars, and have performed roles in domestic spying (BAE Systems, Science Applications International Corporation [SAIC], MZM Inc.) and building domestic “counterterrorism” and “homeland security” capabilities (ManTech, and others). What is thus also being constructed, with the aid of HTS as pretext and justification, is the further development of repressive technologies aimed at the U.S. public. This is part of the blowback of empire against democracy at home. Here is a complete list (from that article) of private-sector corporations feeding our government “Human Domain / Human Terrain” Intelligence technology and systems and analysis — at tax-payer expense of course. See anyone you know? So we are beginning to learn a small glimpse of the magnitude of thie Psychological Operations thing which is at the core of the JADE HELM 0215 exercises. And that is my problem in trying to write this series of articles on JADE HELM 2015 — the subject is too big! Its tentacles reach into every aspect of our lives, from 20th Century American history to our cultural mores, our societal infrastructure and institutions, Federal involvement in local education within our States and Counties, the mischief of the Federal Reserve System, the role our insane government plays in the United Nations, criminality as applied by the IRS, militarization of our local police, undeclared wars abroad, NSA spying world-wide as well as domestically, malum prohibitum law enforcement guised as the “war on drugs”, berserk Census Bureau spying and intrusion, Agenda 21 complicity at all levels of government — all that and more is now of interest to us because all of that must be defended by our beloved Holy Government — and to defend it the government must demonize any American who dissents against such travesties. In short, as noted above, the government sees its duty as including perpetual creation of an “enemy” to justify its activity, its concentration of power from the several States into its tiny ten-square mile sphere at WDC, and its totally multifaceted debauchery of our Constitution. 5) Strategic Vision: America And The Crisis Of Global Power by Zbigniew Brzezinski; copyright 2012 by Zbigniew Brzezinski; published by Basic Books, A Member of the Perseus Books Group, 387 Park Avenue South, New York, NY 10016; ISBN: 978-0-465-02954-9 (hardcover) & 978-0-465-02955-6 (ebook). by Carroll Quigley; copyright 1966 by Carroll Quigley; first published by Macmillan, New York; current publisher: GSG and Associates, Post Office Box 590, San Pedro, California, 90733; phone – 310-548-3455; Library of Congress catalog card member: 65-13589. 14) The Anglo-American Establishment by Carroll Quigley; copyright 1981 by Books In Focus, Inc., P.O. Box 3481, Grand Central Station, New York, New York 10163; published by Books In Focus, Inc.; ISBN: 0-916728-50-1. 15) With No Apologies by Senator Barry Goldwater; copyright 1979 by Barry Goldwater; published by William Morrow And Company, Inc.; 105 Madison Ave., New York, NY 10016; ISBN: 0-688-03547-7. Think I’ll just use this text box to temporarily park a link to someone else’s posting of Part Two of this series on JADE HELM 15.